The Real Reason Why The DOE Made "Evolution" A Taboo Topic For Elementary & Middle School Students. Those pseudo-educators at the DOE has yet again made a fool of themselves with the publishing of the 50 taboo topics that are not to be used in testing for the elementary and middle schools. One of the most controversial is the topic of evolution. The DOE has lowered themselves to the ignorance of the "hillbilly right" who fail to understand that evolution is science. The DOE claims that the topic of evolution on the City tests could "evoke unpleasant emotions in the children". However, the real reason the DOE does not want evolution to be taught is that our children will realize how humanity has regressed as you rise in rank at Tweed. In other words, the higher the administrative level you are in the DOE, the lower the intelligence IQ. Is it any wonder that the DOE does not want our children to know about evolution? 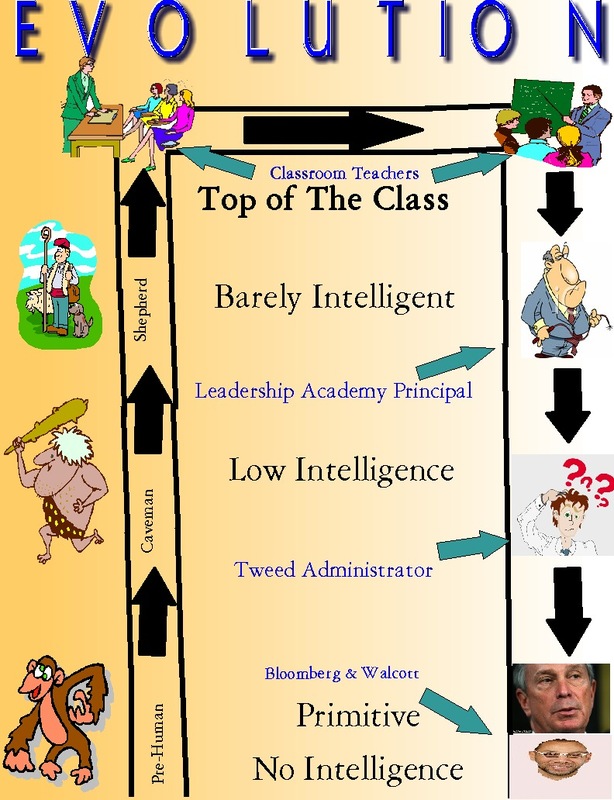 Tweed may falsely claim it is that they don't want to offend the so-called fundamentalists but the real reason is that they don't want the students to learn how the higher up you rise in the DOE, the lower their intelligence is. Just look at some of their moronic decision making under Mayor Bloomberg and Chancellor Walcott. Even lately, another high level DOE Administrator was fired after another case of his alleged misconduct was found Here. I guess if I was a high level DOE Administrator at Tweed, I wouldn't want the students to know about evolution either. The Thought Police At The DOE Have Banned The Topic Of Dinosaurs For their New Tests For Elementary & Middle School Students And I Agree! My first reaction to the DOE banning 50 taboo subjects for their new tests was here we go again those wackos from Tweed using their warped idea of social policy to impose ridiculous limitations on the school system's students. What idiot at Tweed actually believes that the topic of dinosaurs are dangerous to the NYC students? Maybe somebody should tell those non-educators that dinosaurs are extinct. Yes, according to the Earth Science Reference Tables dinosaurs became extinct 65.5 millions year ago! Then again, we are talking about Tweed which wastes millions of dollars on high priced consultants, complex and unworkable computer programs, and corrupt managers. On second thought, the "DOE Thought Police" may have a real reason to ban the topic of dinosaurs on their tests. It seems that dinosaurs are not extinct! 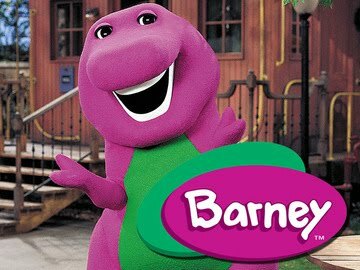 Yes, one dinosaur is still living in our present day society, it is Barney, the Purple Dinosaur! Now I understand Tweed's thinking on why they banned the topic of dinosaurs. You see Barney, the Purple Dinosaur has been found to be sexually inappropriate with children. According to the DOE Barney, the Purple Dinosaur has been terminated after a 3020-a hearing and therefore since he is the only surviving member of an extinct race, the DOE has made dinosaurs a taboo subject. What did Barney the Purple Dinosaur do? Glad you asked. Here is what he did according to the 3020-a proceedings. Below is his 3020-a hearing. Therefore, I support Tweed's decision to make dinosaurs a taboo subject when it comes to our students in Elementary and Middle Schools. I guess in the DOE's case " a stopped clock is right twice a day". 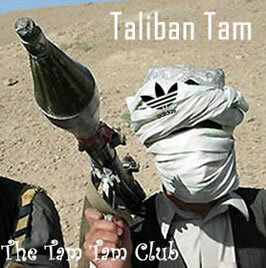 I Predict That The ATR Crises Will Really Explode In The 2012-13 School Year . One of my friends told me that his Principal had informed the Assistant Principals in his "Turnaround School" that the Network Leader had notified him that Tweed is encouraging the Principals of "Turnaround Schools" to hire the maximum amount of "new blood" (newbie teachers) for their school for the 2012-13 school year. That means that 40% of the new staff will have no real classroom experience and already struggling schools will struggle even more as their academically low achieving students will be the "guinea pigs" for teachers who themselves must learn curriculum and acquire classroom management skills. The result will be an explosion of the ATR crises in the NYC school system. I anticipate 4,000+ ATRs will be floating around the NYC public schools on a weekly basis in the 2012-13 school year, thanks to Mayor Bloomberg and his pet poodle, Chancellor Dennis Walcott, this will be the largest amount of ATRs ever since the 2005 contract which allowed for their creation. How did I obtain the 4,000+ figure? First, there are approximately 900 ATRs currently going week to week to schools in their district. Second, There are about 400 teachers that have provisional appointments for the present school year and may be put back into the ATR pool at year's end. Third, there will be 1,750 teachers who will no longer have a classroom assignment in the 33 "Turnaround Schools". Fourth, there will be 26 schools closing and with other large schools already going through the closing process (Jamaica, Beach Channel etc). This could result in 1,000 more teachers who will become ATRs. Finally, everybody believes that the Bloomberg Administration and the DOE will lift the hiring freeze by the summer as the City's economy slowly recovers. This will severely limit classroom positions for highly-paid experienced teachers as Principals watch their tight budgets. In fact some of the more unscrupulous "Leadership Academy Principals" will continue to find ways to eliminate senior teacher positions in some subjects and hire "newbie teachers" for other subjects who will end up teaching the same type of courses as the excessed senior teachers were. The ATR crises, solely manufactured by Mayor Bloomberg and Ex-Chancellor Joel Klein, with the union's acceptance back in 2005 is likely to cost the DOE some $400 million dollars in salary and benefits. This will allow the DOE to shift the blame to the union by claiming the union continues to protect "bad teachers" when the truth is that Principals don't want senior and high paid teachers on their tight school budget. However, the DOE will tell the mass media that already large and rising class sizes, lack of resources, and tight budgets would magically disappear if they could only get rid of the ATRs. The DOE has convinced the NYC newspapers that the ATRs are the "Jews" of the education system, it is all their fault for the problems that plague the NYC schools. I truly hope I am wrong about the 4,000+ ATRs but unless the union takes a more "pro-active" position and stops the Bloomberg Administration in its tracks, This scenario is very much a reality. The "Newbie Teacher" And The Inferior "Tier VI Pension Plan". Why The Teaching Profession Is Becoming A Tempoary Job, Thanks To The Mayor & Governor. 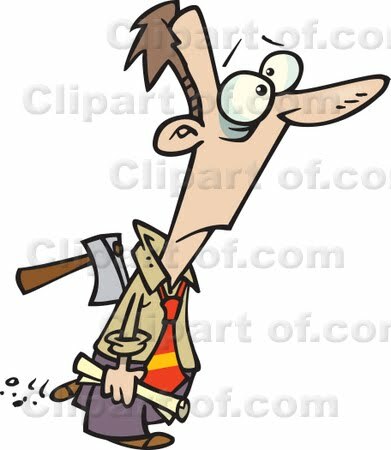 Well, another nail is being hammered in the NYC teaching profession as a long-term career choice with the new "Tier VI" pension plan. For those aspiring teachers come April 1st (yes April fools day), any teacher hired for the NYC schools will no longer be able to retire at age 55/57 with 30 years of service. Instead, these teachers will need to wait until age 63 if they are to receive a full pension. What is even worse is that if a "Tier VI affected teacher" wants to retire at, lets say 57 with 34 years of service, he/she would see their pension reduced by 37%. That is right, 37%! By contrast, a "Tier V affected teacher" would get 100% of his/her pension. 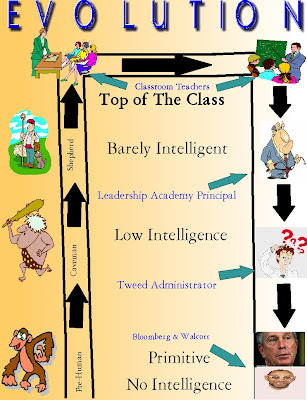 "Tier V Teacher"...................................."Tier VI Teacher". The difference is an astounding $27,570 annually. This is the difference between living well or struggling to make ends meet in retirement. Even if you look at the 25 year teacher who reaches full retirement age, the difference is significant. The difference between the two pension is $8,437 annually and the "Tier VI teacher" will need to work an extra year just to achieve that difference. Otherwise, if the "Tier VI affected teacher" retires at 62, his or her pension will be $38,861 or a difference of $11,139 annually. Realistically, most " Tier VI affected newbie teachers" will not last 25 years, more like ten years or less. What will their pension be and how does it compare to a Tier IV pension which 90% of the teachers are under? "Tier IV Teacher"...................................."Tier VI Teacher". Furthermore, the "Tier VI affected teacher" will be almost doubling their contribution compared to the "Tier V affected teacher" and four times the contribution that the "Tier IV affected teacher" pays which 90% of the teachers fall under. The "newbie teacher" contribution to the pension will be 3.5% and rise to 6% as the teacher reaches the $100,000 mark. Finally, the "Tier VI affected teacher" will only get 55% of the final 5 year average salary, assuming they reach the age of 63 compared to 60% for the "Tier V affected teacher" who only needs to reach the age of 62 or 57 with 30 years of service. The NYC classroom is becoming an increasingly hostile environment and the Bloomberg Administration continues to scapegoat teachers as he refuses to treat teachers like other city employees by not offering a contract without outrageous "givebacks". 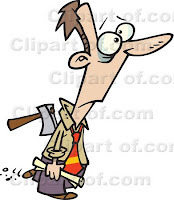 Now, the Governor has weakened the pension to a point that future retires will have a hard time reaching the age of 63 and with reduced pension benefits. The only one smiling is the Mayor as he is achieving his goal to make teaching in the NYC classroom a temporary position. As the economy slowly recovers who would want to be a teacher considering the deteriorating working conditions and now an inferior pension to boot. In A Winter Of Abnormal Warmth, A Cold Wind Blows On The New York City Teaching Profession. Thanks To The Governor & Mayor. This winter has been one of the warmest winters on record, with New York City reporting only 3.5 inches of snow. However, for the teaching profession in New York City it has been a very cold winter indeed. First, in December Mayor Bloomberg made a speech that if he could have his way, there would be half the teachers employed in the NYC schools and they would have class sizes of 70 students, Here. Second, at the end of December the DOE and the union failed to agree on a teacher evaluation system due to teacher "due process rights". In reaction, Mayor Bloomberg decided to close an additional 33 transformation schools by using the federal "turnaround model". The result could be the removal of at least 50% of the teachers and a possibility of 3,000+ ATRs in the system next school year. Third, in January, the DOE published the very flawed, out-of-date, and useless Teacher Data Reports" despite promising not to release them to the public. The newspapers had a field day identifying the "bad teachers" without understanding the errors the TDRs had. The result was a shaming and scapegoating teachers. Fourth, in February, it now seems the NYS teacher evaluation system will require truant students to be part of a teacher's grade. 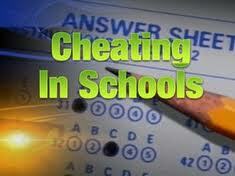 This will result in low teacher grades and discriminates against schools in high poverty urban areas. Finally, in March the State Regents Chancellor, Meryl Tisch, called the Mayor's "turnaround proposal" as politically motivated and not educationally sound. While this winter was one of the warmest since records began in 1869, the cold winds of bogus education reform from the State and City just keep on blowing and freezing out the classroom teacher. My Students' Perspective Of What The "Turnaround Model" Means To Them. The rhetoric about closing 33 schools and reopening them using the "Turnaround model" is loud and becoming louder with the threats of a union and parent lawsuit to stop the politically tainted proposal. However, what nobody seems to care about is what is the student perspective? Not even the so-called student lobbyist, Governor Andrew Cuomo, ever bothered to ask the students how they felt about closing their schools mean, Therefore, in one of my classes I had time, after giving my students a test, to ask them how they feel about the fact the school will be closing and at least half the teachers will no longer be at the new school next year? The student responses were, to say, at the least, quite interesting. One of my struggling students told the class that most teachers don't care about him and so he doesn't care about the teachers, except for Mr. Chaz of course. However, thankfully most of the class felt differently. The next student told the class that she likes her teachers and that the teachers who will replace them may not know how to teach and that is bad. A boy also said the same thing, especially about the two new young teachers who he now has who can't teach or control his class. Most of the class hated to see the teachers leave. One female student expressed real concern about the teachers being fired. 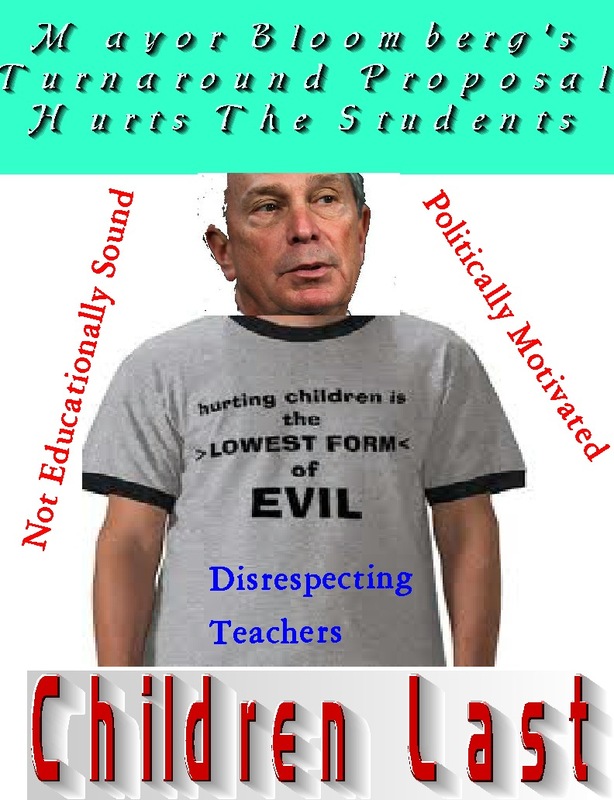 Apparently, this was the first time many of the students heard that their teachers could be fired and reacted badly about that possibility with shouts of f**k the DOE and Mayor Bloomberg. I explained to her and the class that their teachers who will not be back next year in the new school will not be fired but will still have a job, just not at the new school. Of course I didn't want to tell them that many of the teachers will end up as one of the 3,000+ ATRs. What a waste of talent and money. My statement seemed to reassure most of the class and I was quite astounded and pleased how these usually "me first teenagers" really had warm and caring feelings for their teachers. I asked them if they could change the school, what would they do to improve it? The answers were essentially what I expected. First, they all agreed that the school should "kick out" the students who don't want to learn. Second, students should be suspended who are found walking the halls and not going to class. However, they seemed split on the clothes issue with many of the boys believing that droopy parents were appropriate while all the girls thought that the ones who have their underwear showing was disgusting. Of course all the students see no problem what the girls wore, no matter how revealing. Finally, they were mostly in agreement that the school should be more responsive to student issues such as a reasonable cellphone policy, lateness (many of the students travel long distances to the school) and most of all student activities after school which have been eliminated due to budget restrictions. Interestingly, the student complaints were very similar to the teachers of the school when it came to student discipline. However, it was different when it came to clothes, cellphone use, and lateness with teachers wanting to restrict cellphone use to common areas (cafeteria, auditorium, etc) and having a zero-tolerance lateness policy since late arriving students disrupt classroom instruction. Teachers and students alike all agree that the school needed to restore many of the extracurricular activities that attracted good students to the school in the past. The bottom line is that the students don't like the "Turnaround model" if it means losing their favorite teachers" and especially true if the school discipline issues remain unchanged. If the Governor, Commissioner, Mayor, Chancellor, and the DOE really want to implement their "children first" policy, then why not ask the students what is best for them? The NYS Regents Chancellor, Meryl Tisch, Knows The Truth About Mayor Bloomberg's Turnaround Schools Proposal As Being Political, Not Educational. Gotham Schools reported that New York State Regents Chancellor, Meryl Tisch, criticized Mayor Bloomberg's "turnaround" maneuver for the 33 schools as being not about the students. She further went on to say the City's "turnaround program" was a political and not educational policy. This is the first time that a high level education official came out and called the Mayor's wrong-headed proposal to close 33 schools using the "turnaround program" is politically motivated and not educationally sound. The question is will Meryl Tisch's complaints move the New York State Education Department Commissioner and the Governor to pressure the City to reject the Mayor's politically motivated proposal? I would not hold my breath that the State will reject the Mayor's "turnaround proposal" even when it really hurts the students that they claim to advocate for. The Mayor now realizes that his educational legacy is in shreds with bogus graduation rates, phony "credit recovery programs" and a failure to narrow the income/racial academic achievement gap. Therefore, his new idea is to close all the large comprehensive schools he can before he leaves Office. Just like his education Reformer friends, it is not what is good for the students but to demonize public education, make teachers the scapegoat for society's ills, while giving a pass to the 1% who look at education as a business. Marc Epstein said it best in his Huffington Post article which best lays out the sorry state of public school teacher bashing, especially in New York City. In the Mayor's world it is "children last" always. New York State's Teacher Evaluation System Is A Potential Death Sentence For Teachers Who Work In Urban Schools With High Poverty Students. The State's "Teacher Evaluation System" is a flawed, untested, and a "work in progress". If that was not bad enough, it now seems that if the State gets its way, teachers will be held responsible for students who fail to attend school! That's right, if a student decides to be truant and fails to show up to school for a substantial part of the school year, the State's proposal is that the truant student's lack of academic progress will be part of the teacher's grade. Unbelievable, but unfortunately, true. Interestingly, the UFT has remained silent on this "fatal flaw" in the State's "Teacher evaluation system". Even the union's defender of the faith, Leo Casey has ignored the student attendance issue. The question is did Leo Casey not understand this problem or decided not to alert the affected members of what can be a devastating evaluation of teachers who have no control of truant students but will have their scores affected by them? While the union may believe they can negotiate the student attendance issue with the DOE, the reality is that Tweed will insist in keeping the truant students as part of the teacher's score and they will have the State's own proposal to back them up. To the DOE this is a mighty weapon to get rid of teachers and they wiull not give it up without a long, hard fight. These academically challenged students are disproportionally found in schools in low income, minority communities throughout the City. By contrast, schools located in "Middle Class" communities like Bayside and Riverdale will have few, if any truancy problems and the teacher scores will not be affected. Moreover, the screened and specialized school teachers may end up with artificially higher scores since their schools attendance rates are usually 95% or higher. Furthermore, when the City schools attendance and truancy rates are compared to the more affluent suburbs, you can guess which teachers will score higher on the New York State "Teacher evaluation system". The teachers' union in Buffalo has realized the scope of the problem and has publicly refused to come to an agreement with the City because of it. Why hasn't the UFT done the same? I call on the union to make the student attendance issue a non-negotiable item. No teacher should be unfairly saddled with truant students. What's next? Should the teacher pick the students up at their home? Feed them? How about wiping their noises and taking them to the doctor? It is bad enough the City and State want to dump all the problems on the teachers but why is the union not standing up for the teachers on the student attendance issue? Why The DOE's "Turnaround Policy" Is Doomed To Fail. It is becoming increasingly clear that Mayor Bloomberg's threat to close 33 schools by using the "turnaround model" is going to happen unless the union files a lawsuit to block it. It matters little to the Mayor and the DOE that they are inappropriate in using the "turnaround model" in the manner proposed. However, in the event the Mayor's temper tantrum succeeds and the "turnaround does happen. How will these schools change? Probably for the worse. First, and most importantly, the "turnaround schools" will keep the same students that are the reason the schools are closing in the first place. 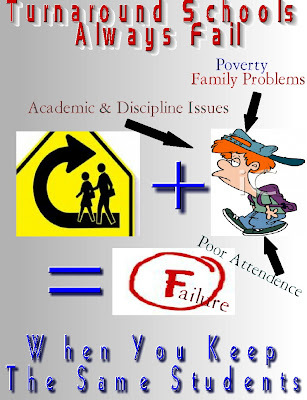 The same students who come from high poverty communities, dysfunctional families, have poor attendance, and suffer from serious academic & discipline problems will be retained. Unlike the new small schools that are able to eliminate these "high needs students", the 33 "turnaround schools" will not be able to do that. Furthermore, the same high percentage of "special education and English Language Learners" will still be part of the "turnaround school". Again, the new small schools are encouraged to limit the enrollment of these two groups. Remember, these large comprehensive high schools were the "dumping ground" for many struggling students who were excluded from the small schools that replaced their neighborhood high schools. Second, while at least 50% of the experienced teaching staff will be removed from their "appointed positions", most of the "turnaround schools" can expect an influx of "newbie teachers" especially from alternate certification programs like "Teach for America" and the "Teaching Fellows" programs. Up to 40% of the staff will consists of instructors who don't know how to teach and have no idea of what classroom management is. I can just envision a 23 year old TFA from Yale University who, after a five week training course, is now facing the reality of how to lead students who don't want to learn and will not respect her. I pity the students who are the guinea pigs of the many "newbie teacher" who doesn't understand curriculum and has no classroom management skills. The result will be academic chaos. Third, in conjunction with the faulty and flawed "teacher evaluation system" there will be little teacher collaboration, rather there will be teacher competition as all the teachers will "teach to the test" and refuse to take failing students from other teachers that can adversely affect their grade. 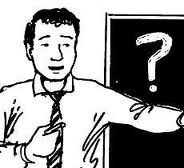 For example, if a student is failing due to attendance, academic, and/or behavioral problems and the Administration wants to transfer the student from a struggling "newbie teacher" to an experienced teacher who may have more success with the student. The experienced teacher would have to be insane to accept the student, knowing it will affect his teacher grade. I know, I know, Mayor Bloomberg did say teacher experience does not count. However, the rest of the world knows better. Finally, unless school discipline policies are changed, the "turnaround schools" are destined to fail. If the schools refuse to enforce stringent student discipline codes, then students will walk the halls, use their ipods & cellphones, and disrespect school staff without an consequences for their bad behaviors. Moreover, many of these schools fail to enforce student dress codes and allow inappropriate "thuggish" and "sexual" clothing. The always outspoken Sate Senator Eric Adams is usually sympathetic with the plight of the poor and minority communities. However, even he has seen enough and demands that schools take action on student discipline and enforcing reasonable dress codes. When you simply rearrange the deck chairs on the Titanic, it still will not stop the ship from sinking and the same goes for the "turnaround schools". 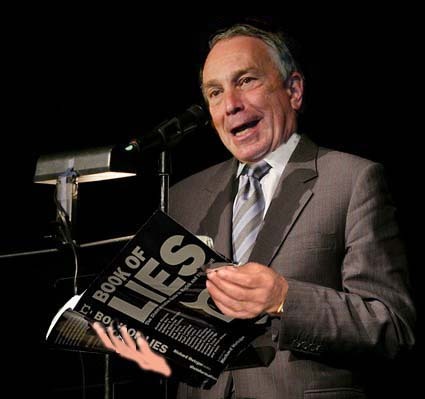 Why Doesn't The News Media Challenge Mayor Bloomberg's False Claim That He Has Reduced The Student Achievement Gap By 50%? In an "Education Now" meeting in Washington D.C. the Mayor falsely boasted that his Administration has reduced the student achievement gap by an astounding 50% and that proves that "Mayoral Control" is on the right path to improve the New York City Schools. However, except for various education critics, the news media accepted the Mayor's false conclusions without question. The Mayor falsely claimed that under his Administration the student achievement gap between "Asians & Whites" and "Blacks & Latinos" was narrowed by 50%. Yet not one newspaper or local network reporter questioned the Mayor's absolutely false and self-serving statement. Instead, the news media simply reported the Mayor's false boasts without checking it for accuracy. Is this simply incompetent journalism, or something much worse? Like being the Mayor's propaganda mouthpiece? The reality about the student achievement gap is that it has hardly budged since the Mayor took office. In the Gotham Schools Community, Aaron Pallas, in his "Emperor's New Close" showed what the real changes were between the achievement gap for "Asians & Whites" and "Blacks & Latinos". Since 2003 Mr. Pallas found that using the New York State tests for grades three through eight that the achievement gap narrowed by just 1% not 50%. Maybe the Mayor was talking about the "gold standard of the federal NAEP test" that tested fourth through eighth graders? Sorry, Mr. Pallas found that the achievement gap between "Asians & Whites" and "Blacks & Latinos" actually increased by 3%! What about the high school students? I wrote a column that showed the large and growing larger racial achievement gap in SAT scores between the two groups since 2007 Here. Worse, the racial achievement gap is wider in New York City than in other large cities and in some cases actually doubled Here. Unbelievable, that the Mayor can blatantly lie and not be challenged by the news media. I guess that the news media rather bash and shame teachers than print the disturbing truth that the Mayor's education policies are failing, just like their media journalists who fail to independently investigate the false claims by the Mayor and his poodle the Chancellor. The New "Credit Recovery Rules" Should Result In Schools Releasing More Realistic Graduation Rates" Starting Next Year. At Least I Hope So? 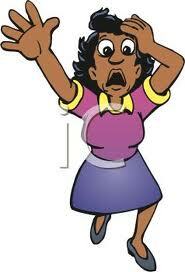 Quietly,during winter break, the DOE released new rules on the "credit recovery program". These rules will put a major crimp in many schools who rely on their bogus "credit recovery program" that result in an artificially high graduation rate. Thanks to the always informative Jeff Kaufman, the actual rules are found on page 23 in the Feburary 23, 2012 DOE paper. I have been told the revised "credit recovery program" has three major components that schools failed to apply when they offered "credit recovery" to just about every student they can push out of the school. The three major changes are as follows. Students must have at least a 67% subject attendance rate to qualify. Teachers must recommend the student for the "credit recovery program". Students can only earn three credits in core courses based on the use of "credit recovery". Furthermore, the "credit recovery program" must consists of real instruction not the phony three page essay or a trip to a museum, with no proof that the student actually went. Remember this story? If that doesn't outrage you, How about this story? 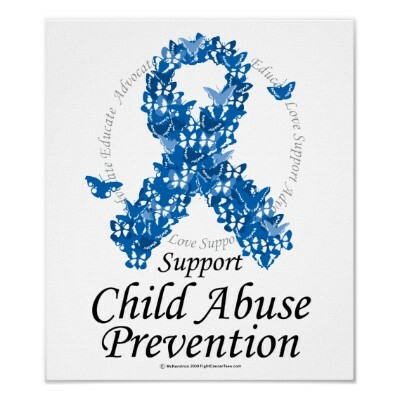 More recently, is the story of ex-Principal Sharron Smalls. Now "credit recovery" will consist of intensive and targeted instruction by a teacher and online courses must come from an approved DOE vendor that demonstrated the online course is rigorous and meets State and City educational requirements. It still is possible that a school committee could overrule a teacher's recommendation but must document why and put their own positions at risk if the students should not have received "credit recovery". I believe that this is what a real "credit recovery program" should be. However, many principals will do whatever it takes to artificially increase the graduation rates by any means possible. Remember this outrageous action by the Jamaica High School Principal? Therefore, the only problem I see is what happens when school principals ignore the new DOE rules and allow for the bogus "credit recovery program" to continue? Will the DOE actually enforce the "credit recovery rules" and punish the principals? Only time will tell. Why Schools Fail. The Answer Is The "Broken Window" Theory. Under the Bloomberg Administration approximately 115 schools have closed down with more expected to close in the next few years. The Mayor is well on his way to destroy the remnants of the large comprehensive high schools and claim victory as the many students suffer with limited choices of classes and extracurricular activities in the small and charter schools that replaced them, and worse of all, his failure to improve the career and college readiness of the students of the City. The question is why did so many of these schools fail and close? The answer rests squarely at the door of the DOE and their student discipline policy that allows principals to dictate to the staff the "do's and dont's" on how they can discipline unruly and disruptive students. In many schools the principals put up roadblocks for teachers to effectively discipline students who also fear that any altercation with a student could result in the teacher being disciplined and subject to a 3020-a termination hearing. According to the Tweed Taliban, any teacher who tries to discipline a child can by accused of "corporal punishment or verbal abuse" and many a teacher have been brought up on these charges by a student or an Administrator. Therefore, teachers are reluctant and fearful in trying to discipline a student since it could cost them their job. The result is academic child abuse as these unruly students disrupt the classroom with their behaviors. 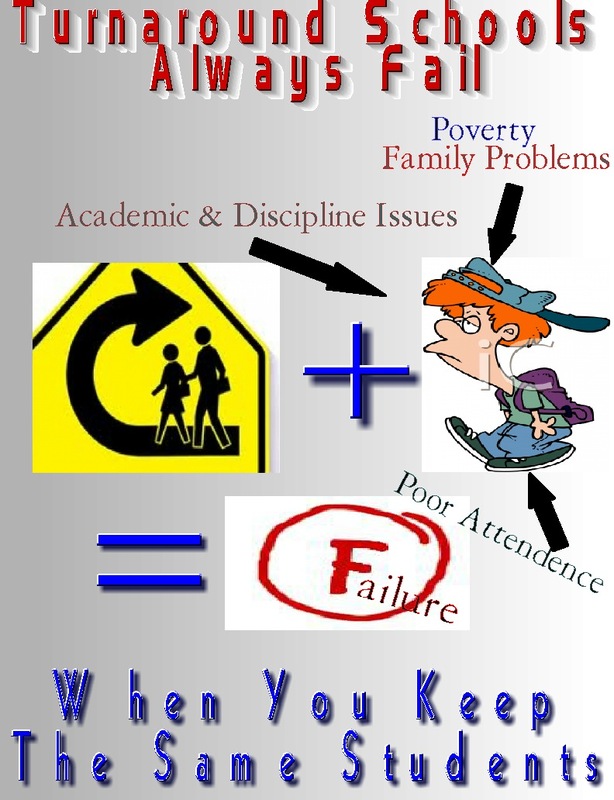 The failure of a school to handle student discipline problems can only cause a deterioration of the academic environment . Just like a community, if the community allows the "little things" to go unchallenged, like public drinking, smoking weed, urinating in public, or sidewalk gambling, the neighborhood deteriorates and crime increases as many families keep their small children inside. 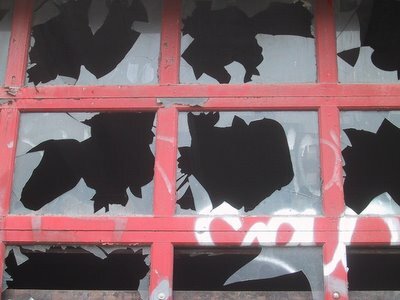 This is known as the "broken window theory" which states that if windows are broken and not repaired, the surrounding neighborhood deteriorates as people give up maintaining their homes and community, which in turn, attracts an unfriendly and undesirable element to the neighborhood which further worsens the problems associated with the deterioration. Back to the schools, many of the large comprehensive schools were targeted by the Bloomberg Administration by steering many students with behavioral issues to these schools. The principals of these schools, rather than nip any problems in the bud by suspensions, or even arrests when necessary, looked the other way least they land on the State's "most dangerous schools list". In the more extreme cases a school like Hillcrest hardly ever reports incidents and were rewarded by the DOE as a "safe school" which is a subject of ridicule by the staff at that school. The principals developed a ladder of referral that requires Administrative intervention only when a student threatened a teacher with physical harm, throws furniture, or has a weapon. In all other cases, the teacher is required to handle the problem, at their own peril. The result is that students walk the halls, show up to class late, curse at the teacher, or use their cellphones to text message their friend rather than doing their work. The result is that the other students see little consequence to misbehavior and just like a "broken window" that does not get fixed, they too start to lose academic focus. This finally shows up in the academic achievement of the school and a target for the Bloomberg Administration to add to the number of closing schools. In summary if a window breaks, you promptly fix it to keep the neighborhood from deteriorating. The same goes for a school, if the Administration fails to enforce student discipline and dumps responsibility but not the authority on the teachers, you can expect a deterioration of the academic environment of the school and target the school for closure. My Suggestion On How To Use A Simple "Value Added Formula" That Would Work For Teachers Who Are Teaching NYS Regents Subjects. I am a Science teacher with an extensive background in Math and when I looked at the overly complex"value- added mathematical formula" used for the teacher data reports (TDR) and it can give one a real headache. (If you want to see what the teacher TDR "value-added formula" is, you can find it here). Obviously, there is tremendous wiggle room to apply different values for the various error-prone assumptions in the formula. 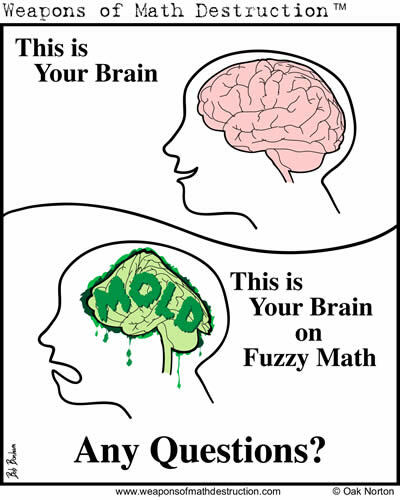 While my fellow blogger JD2715 can figure it out, for the rest of us it is simply "fuzzy math" that turns our brains to mold. Is it any wonder that the "value-added formula" is considered a joke since the average error factors can be so large that a teacher rated "average" can really be rated either high or low. For example let's say that a English teacher is rated 50 (average) by the TDR but the error factor is 53%. Therefore, the teacher could be rated as low as 23.5 (below average) or 76.5 (above average). If we were to use the maximum error of 87% the teacher could be rated as low as 6.5 (the very bottom) or as high as 93.5 (the very top). This does not even account for all the error-prone factors for students that, in many cases, don't reflect reality. Is it any wonder that real educators find the teacher TDR values useless and does not show whether the teacher is realty "effective"? While I do not want my union to negotiate with the DOE until the awful Mayor Bloomberg is no longer in office, I do suggest that the 20% of standardized test should come from the New York State Regents if we must have a "teacher evaluation system". What I recommend is that in the second week of September all teachers who are teaching classes that end with a June Regents will give all their students the previous June Regents to determine the baseline. Once, the students take the Regents at the end off the year, the two scores will be compared to determine the "value-added" for the teachers. This formula is much simpler and a more accurate indicator of how much the teacher actually added to the student learning. For example, lets say that student "A" received a 35% on the previous June Regents and achieved a 75% in the end of the year Regents. The teachers "value-added" grade for student "A" would be 40 (out of as total grade of 100). In other words, the teacher "value-added" number does not need to account for various assumptions. However, ESL and Special education students will need to be graded differently since my simple "value-added formula" may not be appropriate without some additional studies dealing with these special cohorts. My "value added formula" is as follows. Value-added = (Post test) - (Pre test). The only decision is how to determine the "cut scores" and that can be set based upon simple cohort analysis. Is my recommendation the perfect answer to teacher effectiveness? Of course not but it is simpler, better, and not subject to the error-prone assumptions the DOE used for the teacher TDRs and the potential that a similar complicated mathematical formula will be used for the "teacher evaluation process".